That expression is more than 150 years old and apparently originated in Wales, which once grew more than 200 apple varieties! Sounds like a good marketing scheme to me, especially given the less than savoury reputation the fruit got courtesy of Adam and Eve. Popular culture has a love/hate relationship with apples. 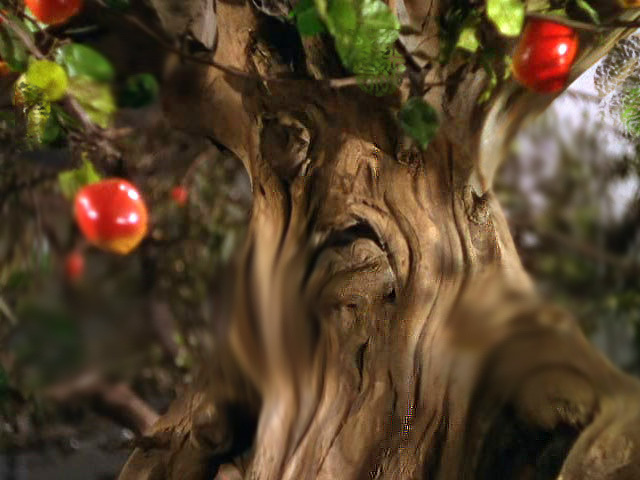 There’s the nasty apple tree in the Wizard of Oz, begrudging poor Dorothy its fruit. And we all know better than to upset the apple cart. On the other hand, it was an apple falling on his head that got Newton thinking about gravity. And in North America, we know exactly what is meant by “As American as apple pie.” It’s probably these two things that first gave Steve Jobs the idea of an apple for the name and logo of his company. 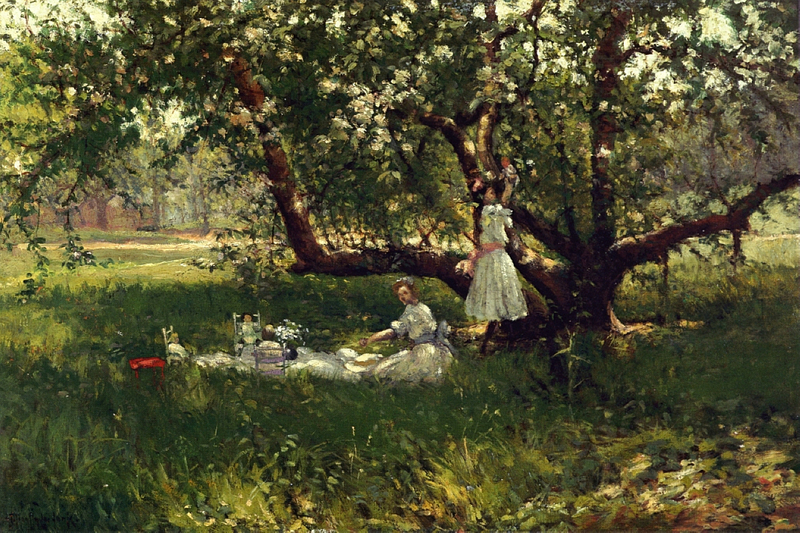 When I was young, apple trees were big and gnarly; and the apples were hard to harvest without huge ladders. But the charming old trees beloved of Victorian children for climbing are apparently a thing of the past. Today’s trees are smaller and more accessible. There’s still a three-legged ladder to reach the higher fruit – but harvesting is easy peasy. This is practical. The spreading boughs of those old trees might fill an whole acre with 250 trees. Up to 1,000 of these compact trees can happily thrive in the same space. 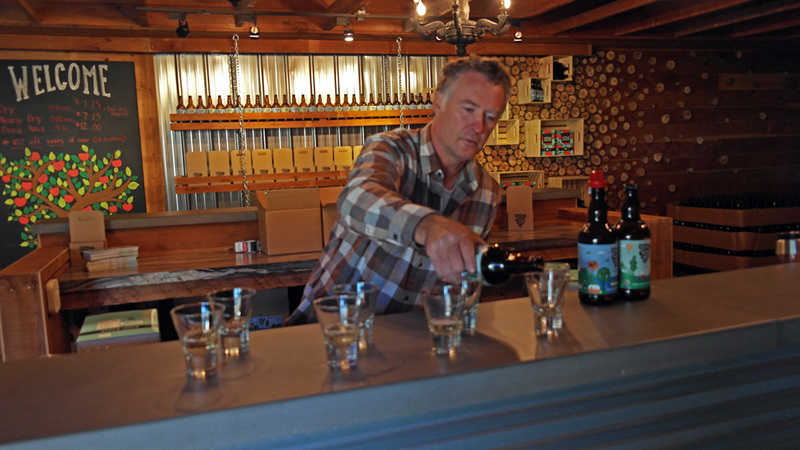 At Scenic Road Cider, in the beautiful Okanagan Valley in British Columbia, Taylor Sebastian gives us a lesson in modern apples. Old trees needed sprays to prevent the fruit from attack. Today, spraying with chemicals is minimal. Instead they use natural options like pheromones to trick male codling moths into thinking it’s party time, way before the females are ready to lay. Result: the population of these nasties is kept down (not out) without compromising their place in the ecosystem. Other tricks include spraying bean oil on the bark in the spring to kill the critters that overwinter in the bark. 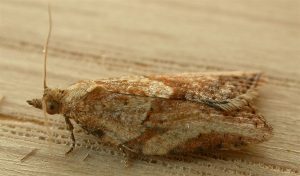 And in the Spring , farmers in the valley release thousands of sterile moths which also keeps the population from excessive breeding. 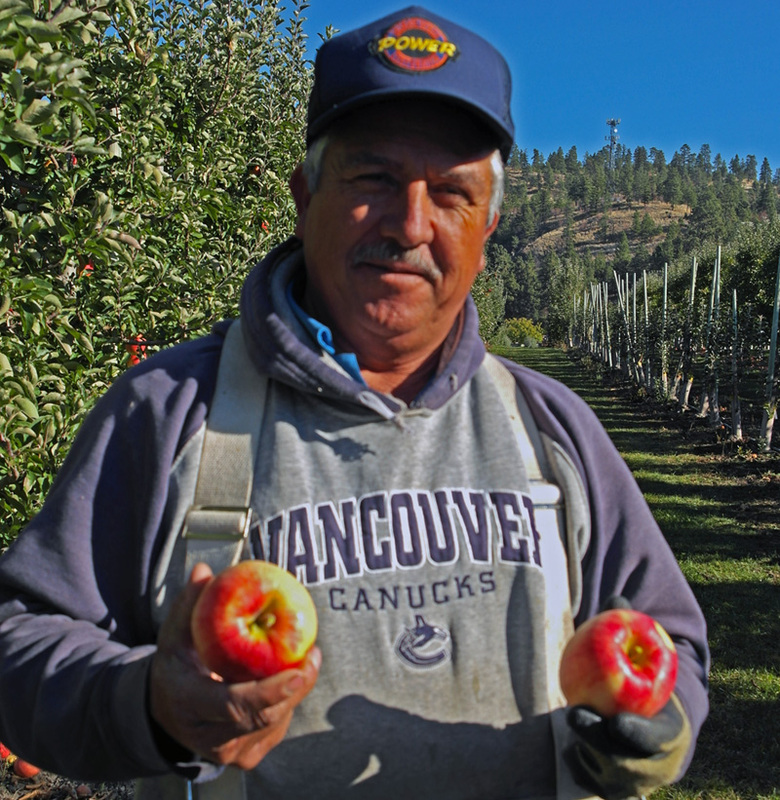 But growing apples has a much larger problem: fickle consumers. North Americans want perfect, red and unblemished fruit. Well, perfect green ones in the cases of varieties like Mutsu and Granny Smith. And consumers leap on the new variety bandwagon faster than lemmings off a cliff. For example, the recent top of the pops is the Honey Crisp which looks like the ones above but is super crisp and juicy. 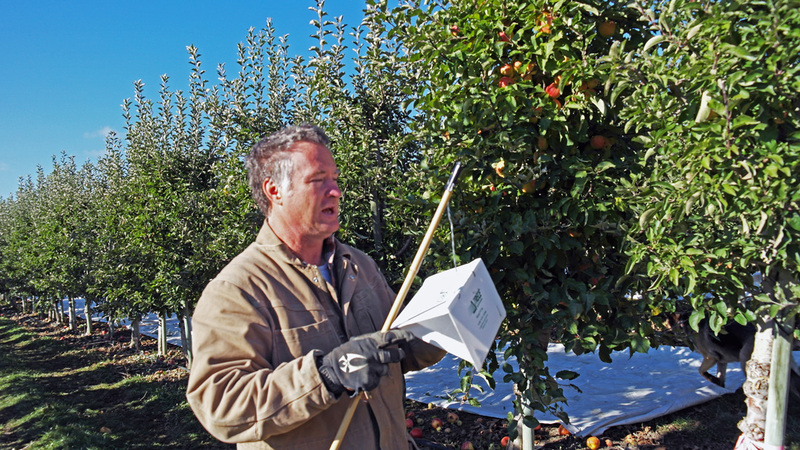 Apple farmers face the challenge of responding to market demands. While growing an apple tree takes years, a clever grafting technique allows them to graft the stem of a new variety onto the trunk of an older one. Within three years, it’s a whole new tree is producing the delicious new variety! 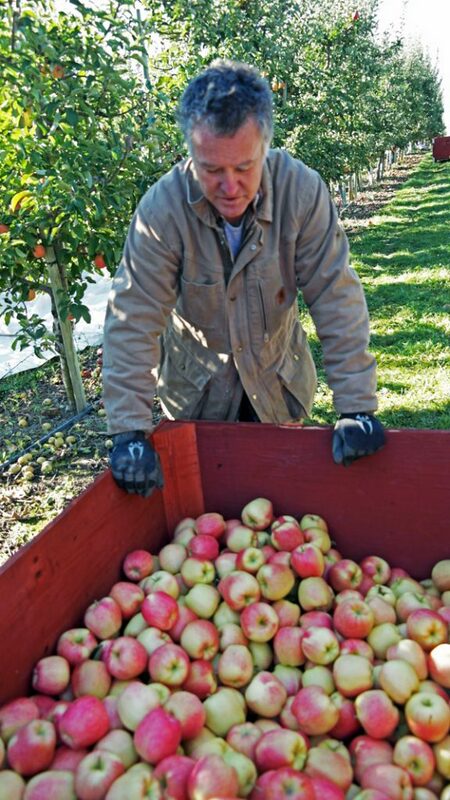 At Scenic Road, I pick beautiful Ambrosia apples to add to the cart. These are sold for fruit, but Sebastian is also growing some old and new cider varieties for his newest venture – a cidery. 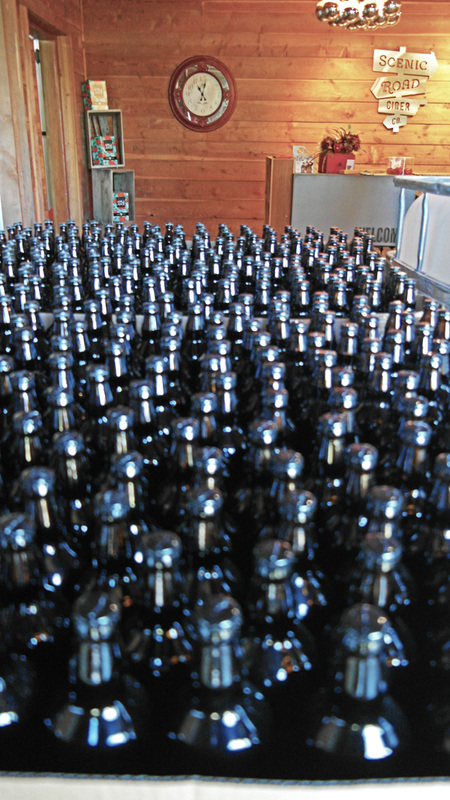 Inside the old re-purposed building, rows of black bottles are filled with cider. The rich aroma of fermenting apples greets us. Huge stainless steel tanks hold the fermenting cider, but Sebastian lifts the lid off a smaller fermentation vats so we can get a whiff of the process in action. In two of these he is fermenting apples with fresh raspberries for a brew he’s calling Razz – what a glorious scent! But the best part is a tasting. The dry cider is tart, complex and delicious. It’s my preference, but the slightly sweeter version is the more popular, says Sebastian. Our biggest treat is a sample of the newly baptized Razz, just 24 hours old! It’s a wonderful blend of apple and raspberry, its rich raspberry scent dominates without compromising the essential cider tartness. This could give a whole new flavour to Wassail – the mulled cider traditionally drunk at Christmas. Now is there a traditional cider toast? Cheers! 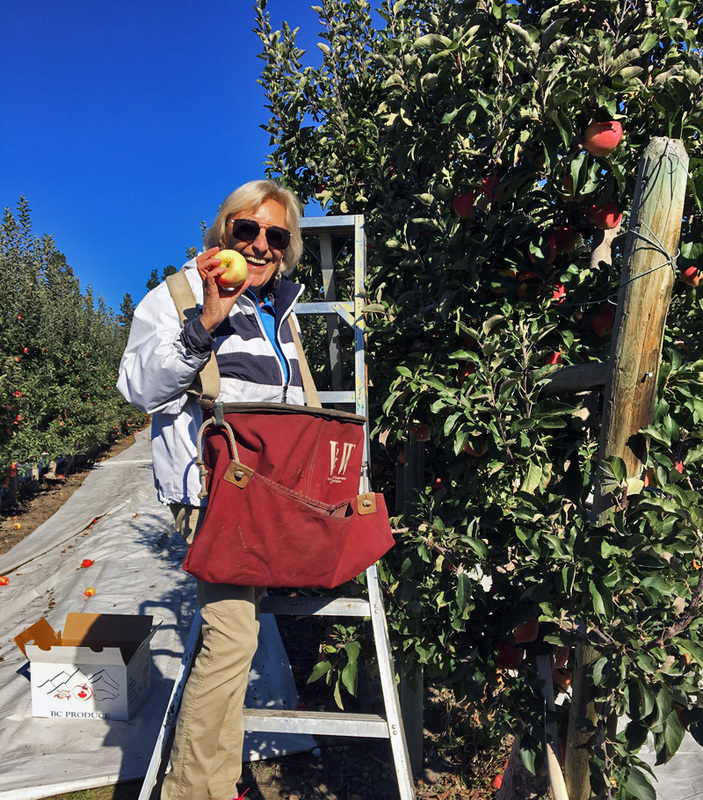 This entry was posted in British Columbia, Food and tagged Ambrosia apples, apples, cider, Honey Crisp apple, natural pest control, Okanagan, Razz, Red Prince apple, Scenic Road Cider by Liz Campbell. Bookmark the permalink.